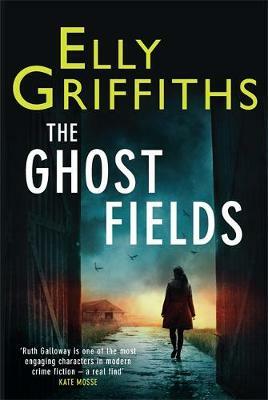 With the publication of the latest Ruth Galloway novel, The Ghost Fields, author Elly Griffiths details the music behind the character. Bruce is Ruth’s favourite singer. A taste which she shares with her creator. And this is the ultimate Bruce song – the screen-door slamming, the car out back, the lonely road ahead. It’s playing when Ruth has her car crash in The Outcast Dead. This conjures up Norfolk for me in an instant: the beauty, the loneliness, the sense of space and possibility. This music was often in my head when I thought about the abandoned RAF airfields in The Ghost Fields, places that were once full of men and machines, now silent except for the birdsong. My children have introduced me to Lana del Ray and she reminds me a bit of Bruce Springsteen. I wanted this song to be playing in the background in The Outcast Dead but it hadn’t been released when the book was set so I had to settle for Video Games instead. A reader wrote to suggest that this song would be the perfect soundtrack to the books and they were absolutely right. There are lots of versions but this is my favourite. I love piano music, the swooping romantic stuff especially. My son is a very good pianist and plays this beautifully. It was also my mum’s favourite nocturne and it reminds me of her. Every woman who was at university in the 80s loves this song. I’m no exception. Sometimes I even do the accompanying dance….